Hi-Tech Export provides high quality Mechanical design and engineering services for Product development, Machine design and Assembly utilities. Our experienced engineering team is well qualified to deliver the full range of mechanical engineering projects. 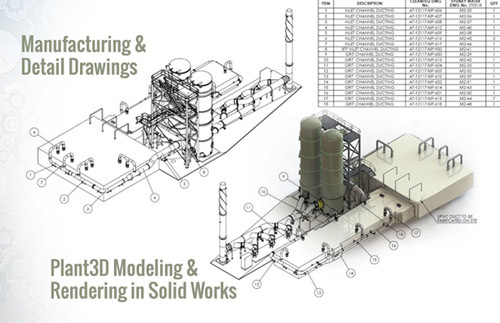 Our services range from design to drafting and we hire Mechanical designers and CAD engineers for faster turnaround. These range from functioning and mechanism production, design operation, installation and maintenance of mechanical systems. At Hi-Tech Export, we provide mechanical design services applying AutoCAD, Inventor, MicroStation, SolidWorks, Pro E and Vector Works. We recreate fresh Mechanical engineering drawings with the help of design data and sketches. We deal with conception and design of mechanical systems as our team of experts handles various mechanical design services ranging for concept to detailed design along with drawings production, mechanical design products. Contact us to get high quality, time-bound and cost-effective mechanical design services.